It’s all about the tips! 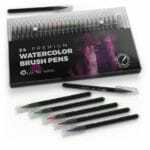 Most artists agree that having a good brush tip makes blending colors and laying down a fine stroke much easier. Unfortunately, most markers with brush tips are a little more expensive and usually any economy brands that have brush tips don’t last very long (the tips tend to fray or collapse over time). Good selection of colors! Creating blends and color transitions is much easier if you have good light/medium/dark combinations. Creating a transition between a light and a dark color is possible (I will demonstrate this in our workshops) but can be tricky. For this reason, most artists enjoy having a wide variety of colors to pull from. This is why you will often find alcohol markers sold in large sets. Extra, extras! 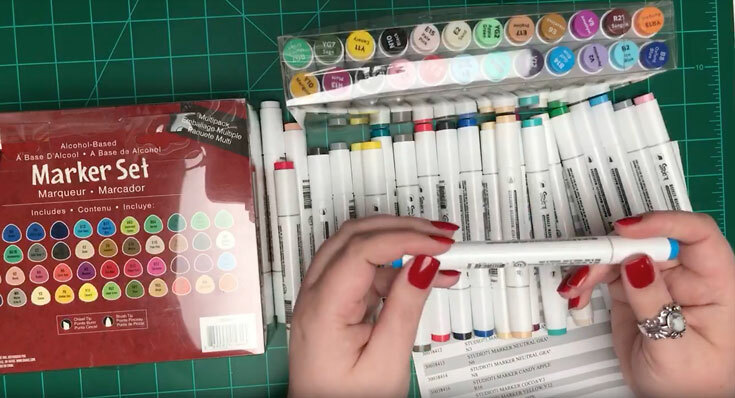 Some marker systems come with refills, tip replacements, cases, airbrush systems, and the ability to buy single markers (open stock) to replace or add to your collection. All of this is great if you plan to use your markers A LOT…and I mean A LOT. Most markers (even the economy type) have a pretty long life and you can get a lot of coloring out of them before ever needing a refil or replacement. A decent economy set will probably be more than adequate for most hobby colorists. Alcohol inks. Is there truly a difference from brand to brand and can you use the different brands together? I get these questions all the time. I do think there is a slight formula difference from brand to brand…you can tell this just from smelling the markers. But…there doesn’t seem to be one miracle brand that works head over heels better than all the others (at least this has been my experience). I have also had great success using different brand markers together. Remember…all alcohol markers are NOT lightfast (this means you should never display your work in direct sunlight or it will fade). Sharpie/Bic/Office alcohol markers. I love coloring with this type of marker and I even have a full playlist on my YouTube channel dedicated to how to get some fun coloring effects with them. The biggest downside to these markers are their stumpy bullet tip which makes blending a challenge (not impossible…I show that in my videos). 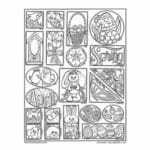 The ultra fine point markers are fantastic for those coloring pages with itsy bitsy details! 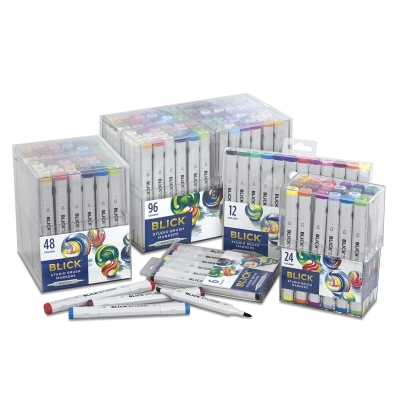 In the past, these markers have been the most economical choice, but it has been my experience that sometimes the price of these are very similar to some of the sets I am about to suggest. As your love for these tools grow, you may want to invest in a marker system such as Copic, Spectrum Noir, or Prismacolor (just to name a few). I don’t think there is a “wrong” system to pick. It will depend on your budget, the kind of brush tip you prefer, and the “extras” each system offers that excite you. I suggest purchasing a small set of each (or at least a light/medium/dark of one color family) to try them before investing in one system. Everyone is different, and you may like the feel and experience of one marker system over another…Copic may not be the ultimate system for you!!! For example…I LOVE how juicy the Prismacolor markers are, and their brush tip is unlike any others I have experienced…much more flexible. Now that I have given you some broad advice. 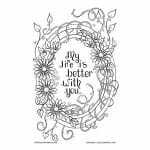 I am going to give you links to 3 different alcohol marker sets that I have personally used and would recommend. I have chosen to steer clear of the obvious high end markers (Copic, Prismacolor, etc.) because the vast majority of us can’t afford these. There are MANY other options out there. Ohuhu, ColorIt, Bianyo, Chameleon, Shuttle Art, Artify, Touchnew, Spectrum Noir, and more! I hope that my general tips above will help guide you. Try asking in our Facebook group for advice from other colorists about brands you may be considering. Have fun shopping, and we hope to see you at our alcohol marker coloring workshops! You may be aware of this by now, but Studio 71 markers also use the same ink and numbering system as Michael’s “Artist’s loft sketch markers”. This was useful because open stock of Studio 71 markers have been sold out everywhere I’ve looked. Michael’s has theirs done $3.99 each, and I haven’t had to pay full price once because of using coupons. They also have more variety to their color range. Word of advice, though. Any of these Artist’s Loft markers that I’ve run across that have a date on it before September 2018 have a much stiffer brush tip. They redid the nib, but are still selling the old ones. The ones after September 2018 feel much more like Copics. This saddens me a bit because my 48 set of Studio 71 markers are all stiffer. I kind of wonder if they’re redoing theirs now too, and that’s why open stock is sold out 😭. At any rate, I LOVE these markers. They make a great Copic alternative. Thanks for the heads up Leslie! !